International Women's Day: "What Strength Means." While the modern woman tends to have a few spur-of-the moment baubles tossed into her jewelry stash, there is a definite trend toward thoughtfully buying classic, quality pieces that will last for years. When you choose to invest and care for jewelry that you love, rather than spontaneous throwaway pieces, you can feel proud of accenting your beauty with adornments that are sustainable -- that can last for generations to come. Research before purchasing. The first step to making your jewelry last a lifetime, of course, is investing in quality pieces from the beginning. Make sure that the metals and stones are sturdy and will retain their luster over time. Consider factors like nickel allergies or plated pieces (ask which metal is underneath to make sure that it will last too!). Doing a bit of research ahead of your jewelry purchases will go a long way in ensuring quality over quantity. The pieces you’ve chosen will gain sentimental depth over the years. But once you've chosen your pieces, the task is not complete! If you’ve already curated your personal collection of precious metals and gems, consider our next steps on how to keep it beautiful as time goes by. 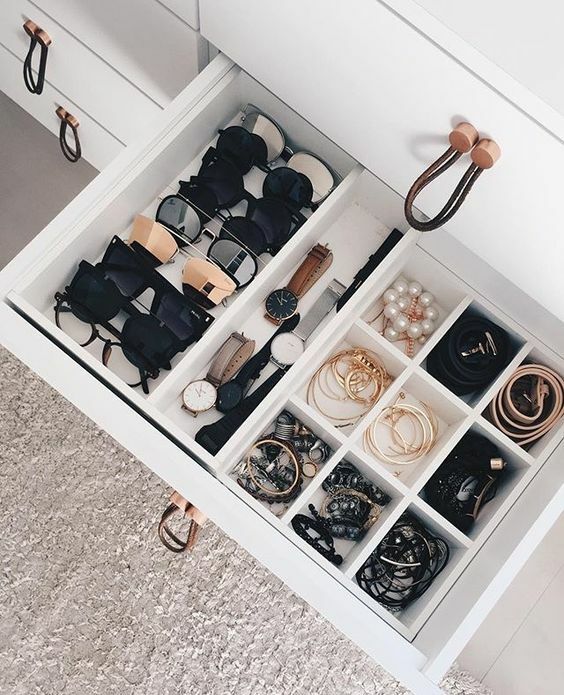 Storage and Organization. 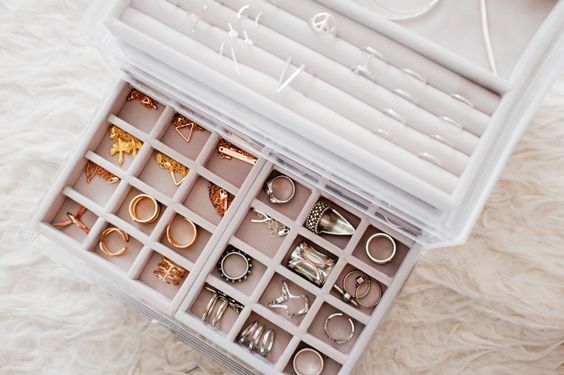 The most important factors when choosing where to store your jewelry are keeping the jewelry both separate and protected. Anyone who has spent a frustrated hour untangling two filigree necklaces know why a jewelry box with individual compartments is a must! Not only does this keep chains from tangling, but it also keeps gems from inadvertently rubbing against one another, causing tiny scratches that dull the gem’s surface over time. Aside from being organized, our recommendation is that you invest in a controlled environment like a dry box with a lid that can be closed. This will keep your jewelry free of humidity and dust, which will keep your metals shining their brightest over time. 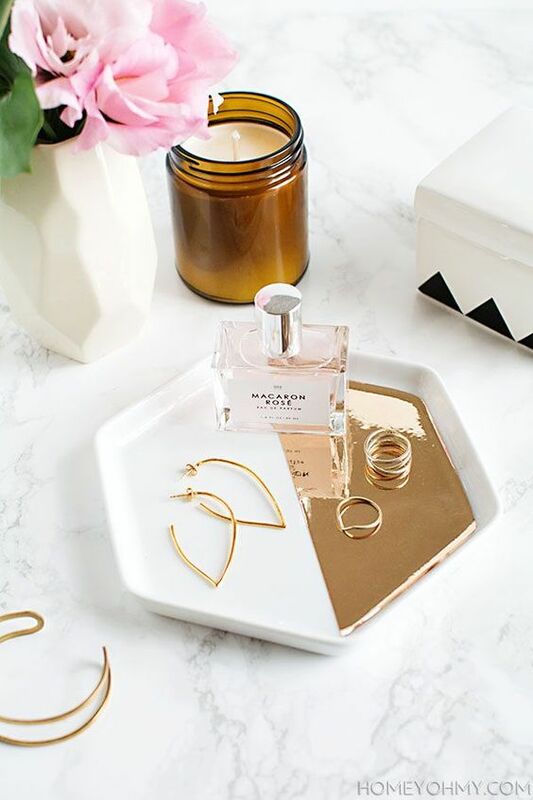 A note on everyday pieces: It might not make sense to have a storage compartment for the rings you wear each day -- so consider a pretty little bedside dish or tray for storing your frequently worn pieces when you sleep at night. Cleaning. We carefully clean our clothes after wearing them, so why not our jewelry? Many women forget to wipe off their jewelry after wearing them, causing oils and dust to build up over time. For regular cleaning, gently rinse your pieces in warm water, then dry them with a soft cloth. This is especially crucial to keep silver from tarnishing. For more seasonal cleaning, consider buying a specialized jewelry cleaner. Do note that certain gemstones will be affected by harsh chemicals that are sometimes contained in jewelry cleaners, so always check with your jeweller before cleaning your jewelry with chemicals. Security. For antiques, family heirlooms, or individual jewelry pieces that are of great value, we recommend storage in a separate, secure place. Some families keep a small safe in the house for valuables such as these, while others prefer to keep precious heirlooms in a safe deposit box. Wherever you choose to house them, we suggest researching insurance options for pieces that are truly irreplaceable. Protection. We know that you likely have well-loved pieces -- the ring that's always on your finger, or the studs that rarely leave your ears. It's important to note, however, that everyday pieces require some degree of protection as well. We recommend taking jewelry off for sleeping, showering, and swimming. The chlorine in a pool can react with your precious metals and affect them over time. Even soaps can eventually make your stones murky and dirty. And then it's also important to remove jewelry before tasks like gardening or dish-washing. Dirt lodged between ring prongs can eventually cause stones to loosen, dislodging the stone from the setting over time. Remember to consider each activity, and whether or not it would be best to remove your jewelry to retain the longevity of the metals and stones. Each of these tidbits of advice is simple, and we hope it shows you how taking just a few extra measure can ensure that you pieces stay bright and beautiful forever. Here at Lucy & Mui, we believe in crafting jewelry that’s meant to last. We’re not the only ones, of course; but if you choose to invest in pieces that are created with quality in mind at the start, we believe you can keep your adornments looking lovely for generations to come. From entrepreneurship blogs to your social media newsfeeds to Fast Company magazine, we’ve all witnessed the recent buzz over the gig economy. And regardless of whether you’ve even given it a second thought, chances are that you are a participant in some way. So what is the gig economy exactly? It’s the independent, no-contract, short-or-long-term (you decide!) workforce that is sweeping the globe. And we are head-over-heels for how it is empowering women to build better lives for themselves. Think about the explosion of self-employment options in the last few years. Airbnb? Gig economy. Uber? Check. We live in a world that celebrates ambition, and whether you are a consumer or a contributor (or both), chances are that the gig economy can work for you. It’s easy to begin. Setting up a business in a brick-and-mortar store requires upfront costs that many of us simply don’t have at our disposal. The gig economy allows women to work for themselves with minimal setup. Here at Lucy and Mui we are especially proud of our Brand Ambassador program, which allows you to begin your own journey to taking back your finances… and at no cost to join. And we are beyond thrilled to facilitate a sustainable income to those who love the label. It’s open to anyone. Ladies, whether you are a stay-home mom, a banker, a marketing professional, or a university student, you can find success in the gig economy. We love that our Brand Ambassador Programme has seen students develop a freelance side-hustle, or busy mamas find a way to turn their passion for a product into a little bit of profit on the side. Our mission at Lucy and Mui is entrepreneurship that is available to all women. It’s flexible. Women. are. busy. Crazy busy. The wonderful news is that engaging with the gig economy isn’t like taking on the burden of a full-time job. The hours are flexible, the effort is flexible… you are able to work smarter, not harder. We love that the gig economy allows us to make a bit of extra cash on the side, OR dive in and truly augment their income. No matter how you choose to do it, funneling your work effort into the gig economy always allows for more flexibility than a traditional job! It’s exciting, not exhausting. We believe that work should feed your heart, your passions, your interests. Ultimately, we want women to make a living doing something that excites them. If you’re a writer, could you market those skills? If you love the warmth of welcome of being a great hostess, could you open up your home to Airbnb? If you love our jewelry, and our belief that exquisite pieces should be sustainable and make the world a better place, could you become a Brand Ambassador? Once you shift your mindset away from traditional, bureaucratic careers, a world of possibilities opens up for you! We are thrilled about what’s happening for women in the world today, and hopeful for the future. Whether you want to freelance your own skills or support an existing brand, we hope you believe in yourself and take that small step of faith toward greater success. If you are located in Singapore and interested in dipping your toes into the gig economy world, you are invited to learn more about Lucy & Mui's program for Brand Ambassadors. Our only criteria is that you love our label and what we stand for -- a sustainable way of giving back, built on our core belief of better. Feel free to check out the program specifics here! No matter your specific interests or skills, we wish you success on your journey. The gig economy is here to stay, and we are excited to see so many women forging their own paths to greater financial freedom. In keeping with our thoughts on taking your life into your own hands, food for thought with our quote of the month "Well behaved women rarely change the world." The Internet is brimming with treasure troves of information about how to plan a wedding, pick a location, or land the gown of your dreams. Here at Lucy & Mui we focus less on the grand and more on the details. That’s why we decided to provide you with a refreshingly simple method for choosing the jewelry to wear on what is the most classically significant day of your life: your wedding day. 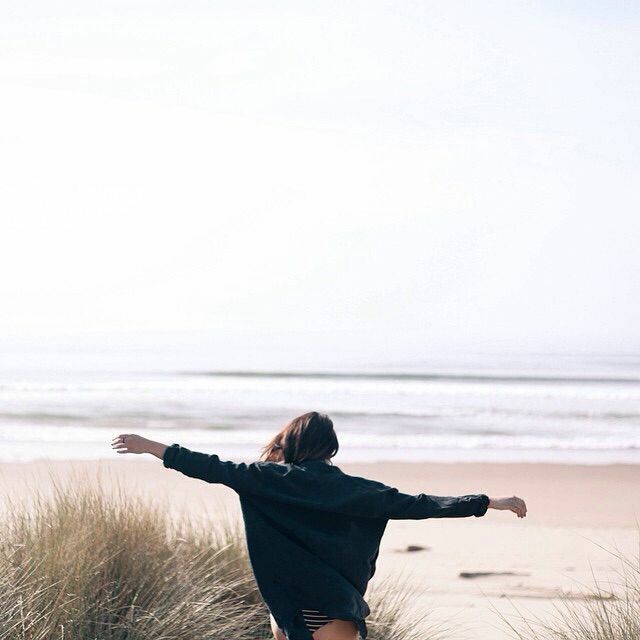 First, take a moment and imagine yourself at your most beautiful: You are comfortable in your own skin… natural, effortless, with every detail an accurate reflection of you. That’s your goal with your wedding ensemble— to be you at your most lovely. You know this already, because it’s a technique you employed when you chose your dress. You noticed how that creamy shade of white made your skin glow. Or how the fabric drapes effortlessly over your feminine curves. How better to complete your bridal look than with something sparkling delicately from the hollow of your neck, or framing the soft hair curving back to accentuate your jawline? Think of elevating the beauty that is already there: you, as you are, but redefined. For women who want a minimalist, mindful look, shift your perspective away from adding beauty, and more toward accentuating it. When you chose your dress, you were searching for something that made your body feel beautiful and feminine. Use the same tactic with your jewelry. Which styles draw your eye, eliciting feelings of romance or elegance? Which metals bring out the natural glow in your skin? You might already know if you have warm- or cool-toned skin. Makeup colors are often based on where your skin tone falls on the spectrum. If you’re unsure, it can be as easy as trying on different metals to see which highlights your natural coloring. Create a stack of yellow gold, rose gold, and white gold rings or bracelets, and see which brings out your skin’s beauty. Which pieces will highlight the cut of your dress, and which pieces will clash with it? The neckline of your dress will dictate whether or not a necklace fits into your wedding-day picture. One beautiful addition to a sweetheart neckline is a necklace that mimics the outline of the dress. A plunging neckline warrants a delicate sparkle below your collarbone as well. We recommend avoiding a necklace with an asymmetrical gown. Boat necklines can be quite lovely with a larger piece-- but then again, if you love the look of your neckline, it’s acceptable to keep it bare. Minimalist beauty at it’s best. Does the rest of your ensemble already shine? Adding just a bit more sparkle is so alluring, isn’t it? But don’t fall into the trap of weighing yourself down because you can’t choose. Think curation, not collection. If your dress is awash in a spray of sequins, or scattered with the starlight of hundreds of hand-sewn jewels, keep other adornments simple. Redefined doesn’t always mean more – less often brings out beauty that is already there. One last reminder: don’t forget to try any earrings with the headpiece(s) you plan to wear at both the ceremony and reception! Note whether your veil gently brushes your earrings, or whether your jewel-encrusted headpiece is best complemented by tiny, sweet diamond studs. In the end, your wedding jewelry should help you own your natural beauty. Your wedding day is an elegant, timeless occasion, so you want to feel that the beautiful woman staring back at you in the mirror is you. Highlight the feminine lines of your face and neck. Accentuate the curves of your dress. Dress up your everyday routine just a touch: you, redefined. Be authentic to yourself and you won’t go wrong. We’ve no doubt you’ll look stunning. Quality is one of the hallmarks of our label - all of us at Lucy & Mui are continually working to maintain our commitment to great design, quality workmanship and sustainable sourcing. Each of these factors contribute to your personalized Lucy & Mui piece, and we are determined to continually deliver better. As part of our ongoing efforts to support sustainable sourcing and deliver great design and quality workmanship, we will be implementing a small increase in some of our prices. Our price changes will take effect from 31 July 2017. This means that we work only with jewellers and suppliers that are committed to sustainable sourcing, so we can ensure that each Lucy & Mui piece upholds our commitment - and this doesn't always mean the lowest cost. Each piece by Lucy & Mui is cast, set and polished by hand. The intricacy of our pieces are testament to the thought and skill that goes behind every piece. The jewellers we work with have decades of experience in jewelry making. We've been told our style is distinctive - and we couldn't agree more. Our designers have worked grueling nights to deliver one-of-a-kind designs that are set apart from mass market jewelry - and we believe their hard work should not go unnoticed. We will honor our current pricing for any purchases placed from now till 31 July. On top of that, to thank you for your continual support and understanding, we will be offering you a one-time discount of 10% off our ENTIRE LINE when you enter "BETTER" at checkout. If your orders are placed before 31 July, you'll save (on average) 20-25% off our new prices. Questions or Concerns? Just drop us a note at hello@lucyandmui.com, and we'll get back to you within 24 hours.